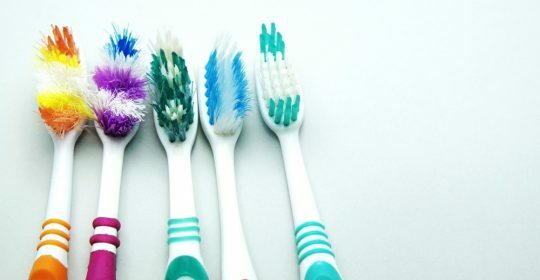 Did you know that tens of thousands of oral care products end up in landfill every year? Colgate is running an Australia-wide competition, inviting kids nationwide to send oral care waste in for recycling any time before October 2018.
Colgate have partnered with TerraCycle and Chemist Warehouse to educate Aussie kids on how their used oral care products can benefit the environment. The 5 top schools with the biggest collection of recycled oral health products will win a recycled community garden. The garden will include 3 garden beds, 2 benches, a rubbish bin, a sign and $500 voucher for seeds and plants. The key to good oral health is education. The aim of the competition is to promote recycling, garden and healthy eating. The initiative will illustrate to children the power and benefits of recycling and healthy eating. Pre-primary and secondary schools have from the 23rd of March to the 31st of October to promote, collect and send the oral care waste to TerraCycle. Are you keen to get your school started? To sign up head to the Terracycle website and register your school. On the website, you’ll find stacks of resources, posters and digital leaderboard to keep track of your progress (and how you rank compared to other schools). How is your oral care? Redbank Plains Dental is your local Brookwater Dentist, and available to answer any question you may have.